The boy is always asking me to make him things, but boys are just harder to sew for. 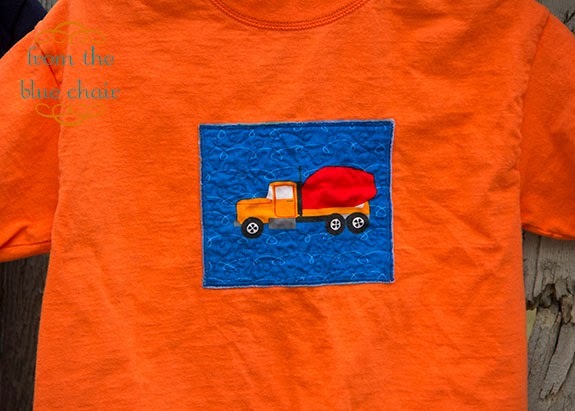 Enter Laurie Wisbrun's Trucks and Tractors fabric. It was perfect for my little guy who is fairly obsessed with anything with wheels right now. Laurie sent me a couple prints from her line and I sewed some new jams for the boy. I made him one new pair of pj pants and a couple new shirts. 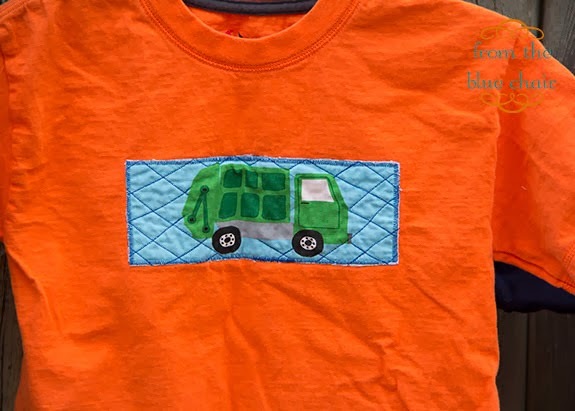 I simply bought plain, inexpensive t-shirts and appliqued a fussy-cut image of different trucks onto the shirts. 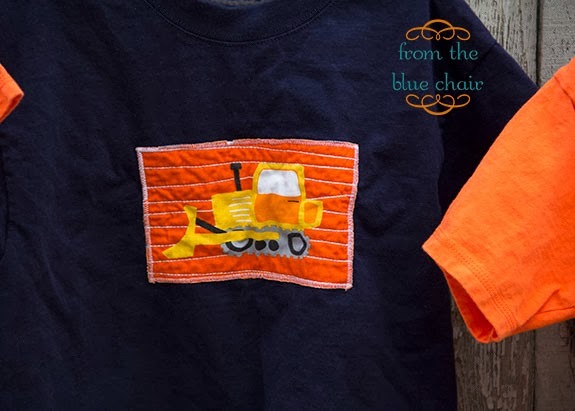 This one is headed out to a little boy who LOVES the color orange as well as garbage trucks. I think it will be perfect for him! Well, that wraps up my projects with my Laurie Wisbrun fabric for now. I still have two other small projects in mind with the last yard of fabric from the package she sent me. It's fun to mix up my sewing a bit and make different things, but I'm always ready to get back to quilting. I have a new quilt on the wall right now that I'm loving and can't wait to share! Yeah! 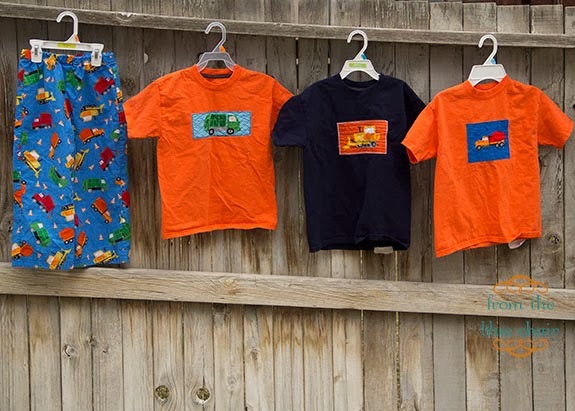 Congratulations on making wonderful, fun things for boys! As the mother of three sons, I know exactly what you mean! Love these! I have just ordered some of the fabric for my grandson - thanks so much for the inspiration from all of your beautiful work!